There’s just a few short days to go before Canada celebrates it’s 150th birthday and all across the country people are getting ready for the party. Everywhere you go, businesses & homeowners alike are getting into the Canada Day sprit with displays of national pride, flags & colours. 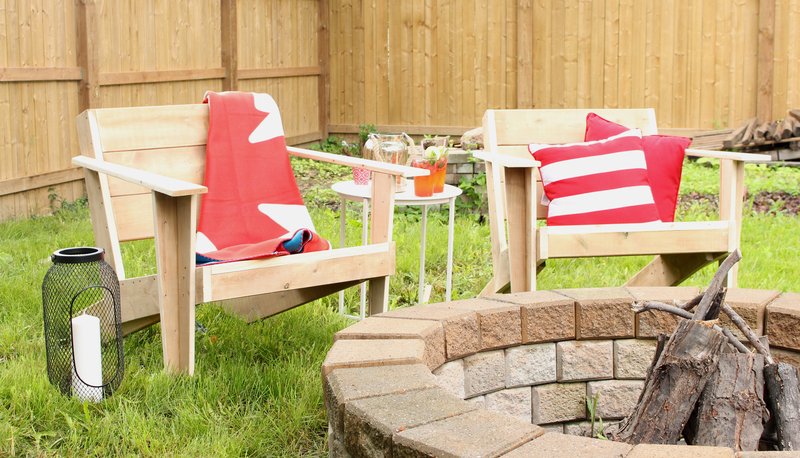 When RYOBI reached out to us to create a Canadian themed DIY in celebration of Canada’s 150, we needed not look further than our own backyard (pun intended)! After all – what’s more Canadian than heading outdoors & sitting around a fire? Well, for those of us that don’t have the option of retreating to the cottage for the weekend, we figured we’d try to bring a little of that feeling home. Last summer we built a fire pit, which was definitely a step in the right direction. Seating for the fire area, however, is something that we’ve been severely lacking. We set out to remedy that by building a couple of chairs to place fireside. 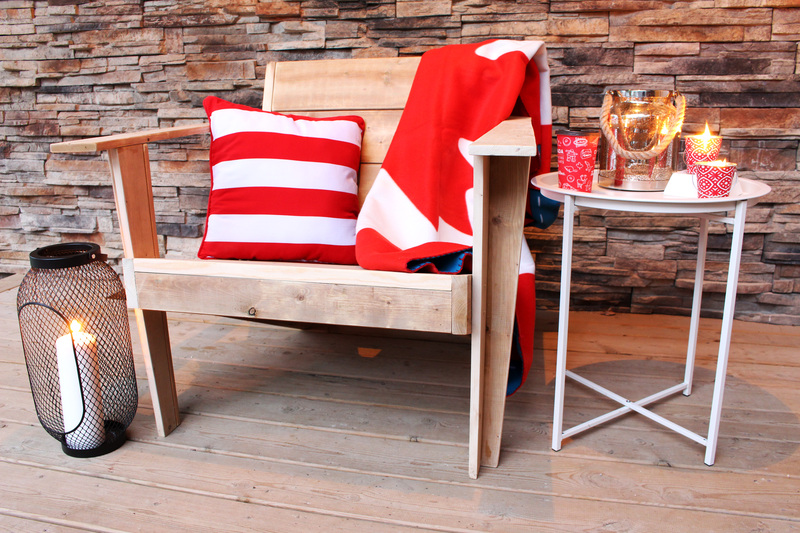 Muskoka chairs were the obvious choice – because well…they’re perfectly Canadian and we love the lounge feel of them. Because our style tends to lean more toward modern though, we wanted to make sure that whatever we built would fit into the eventual design of our outdoor living space. With that in mind, we decided to put a modern spin on the Canadian classic. I love how these chairs still have the overall ‘Muskoka chair’ feel, but the straight, much more angular lines give it the modern simplicity we were looking for. 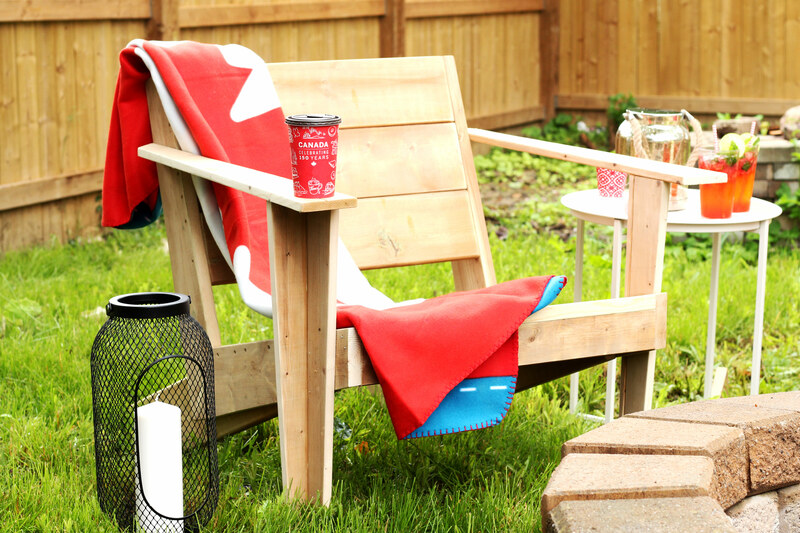 They’re fairly simple to build, and at just under $50 each, these are the perfect DIY to get us all set to celebrate Canada Day without breaking the bank. 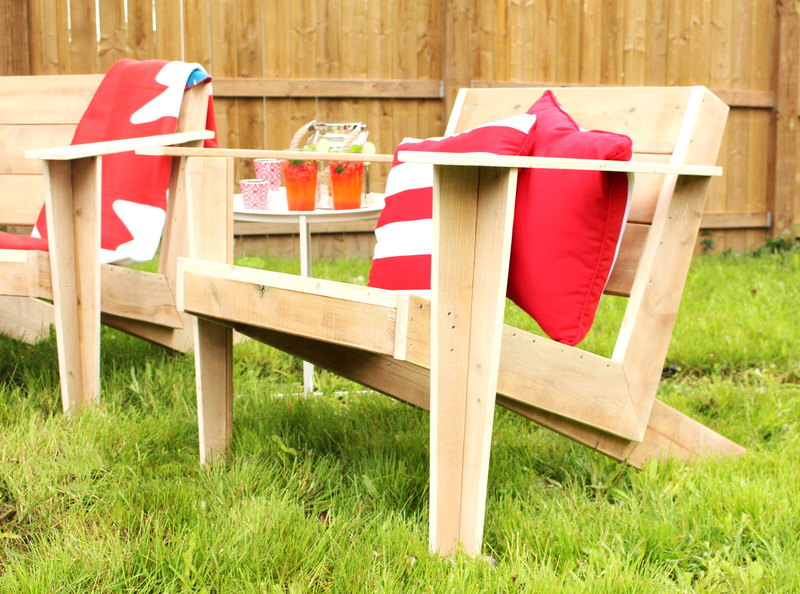 We’ll be sharing the full DIY tutorial for our Modern Muskoka Chairs in the days to come so be sure to check back soon. We have to send a huge thank you to our friends at RYOBI for providing us with the means, tools, and the kick in the pants we needed to finally build ourselves some proper outdoor seating. Not a bad way to start off this Canadian summer, eh? This project was sponsored by RYOBI Canada. Tools & materials used in this post were provided by RYOBI, however opinions expressed are entirely our own. WOW, what an amazing DIY! Perfect take on making a more modern version. I think I’m going to have to make a few of these! This is perfect. I just love this DIY, it’s awesome. Thanks for sharing.